This is where everything goes on an equal footing! 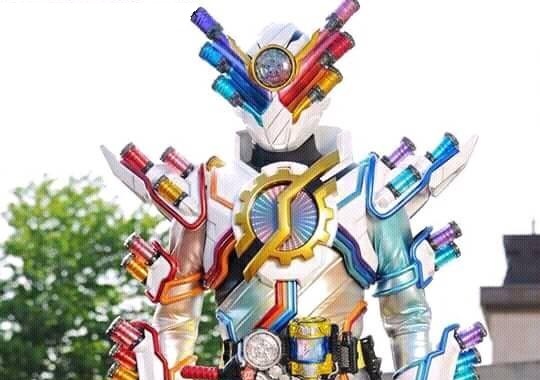 While Utsumi showcases his powers as Kamen Rider Mad Rogue, Sento makes a heroic comeback and finally "Build Up" into his ultimate Best Match: Kamen Rider Build Genius Form! "The absolute power of science"
Build is similar to W who's final form didn't look as cool or good as his base form but got an even worse treatment. This is just sad how ugly he is. Forget the next Kamen Rider series, they need to stop and brainstorm for 1-3 years.